If you want to collect butterflies or fly to the moon, there are people who are already doing it…… and sharing their ideas online. They would love to hear from you. Look online for magazines, Facebook pages, LinkedIn…. any groups that you might be interested in AND MAKE CONTACT. Email me if you would like me to email you a copy so that you can get the links live. Bev, can you please link me to the Useful Careers Websites map? The new Jobs and Skills Centres based in West Australian TAFE Colleges are there to guide you into TAFE, employment or university. A new one has just opened in Kalgoorlie. Leaving school is one of the most stressful times of your life. EVERYONE struggles with such a massive change. If you just want to talk with someone call Lifeline. If you would like professional career counselling from me email Bev.J@infocus-careers.com.au. You can check out testimonials on my home page. Bev, can you please help me to find what to do next? 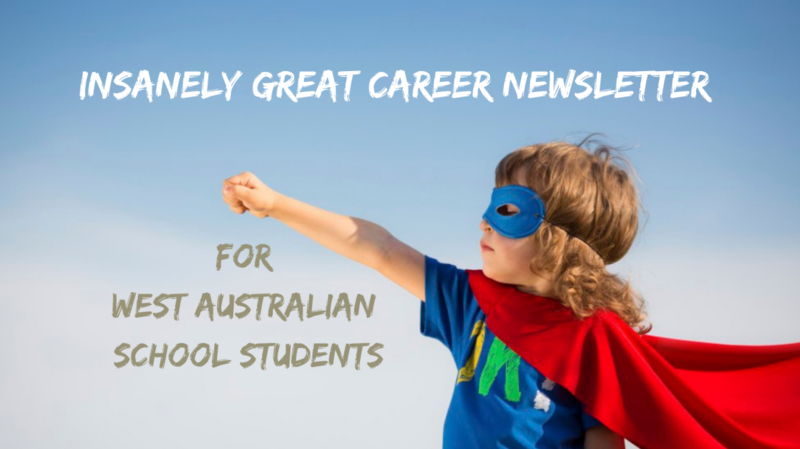 Categories: Career Advice, Planning, Year 12 | Tags: Career Advice, High School, Leaving school, Year 12 | Permalink. Problem solving skills, creativity, collaboration. For the past 5 years we have been told about the importance of these skills. The tide has turned. There is now a growing emphasis on the need for expertise. Michelle Hoad, Managing Director of North Metropolitan TAFE, told the VET Careers Forum that soft skills alone are not going to get you a job. She went on to talk about employers clamouring graduates with deep technical skills. Australia’s Chief Scientist Dr Alan Finkel told a recent Maths Association conference that there is a need to develop “T” shaped individuals. The vertical pole is the deep and narrow skills that make you an expert. The horizontal part of the T is the 21st century soft skills like communication and collaboration skills. You need the deep skills, and you need to practice and apply them so that you have something of value to communicate. The need for rigorous academic study BEFORE you go to university is being pushed aside by alternative pathways to university and the removal of pre-requisite requirements for many courses. Finkel calls for the reinstatement of pre-requisites by universities to signal they want deep knowledge as well as inquisitive thinkers. He quotes Jeff Bezos who calls for experts with a beginner’s mind. You can hear the Saturday Extra Podcast HERE. The message that students need to develop deep understanding also appeared in the recently published and wonderfully named Preparing for the Best and Worst of Times. This report recommends deep learning and recommends that VET programs focus more on developing underpinning knowledge as a long-term solution to maintaining employment as technologies change. You can listen to a short podcast about the report HERE but the podcast doesn’t capture the profound recommendations of the full report. Yanis Varoufakis talks about the dumbing down of education and, at around the 27 minute mark, he proposes changes to education and training policy making in this thought provoking presentation. In the face of all this urging for deep skills NCVER published Training for the 4th Industrial Revolution which recommends soft skills!! So what do you do!!?? I tend to agree with Alan Finkel when he says…. something like…. …you need to have some knowledge that makes you worth communicating with!! The focus of VET must be beyond skilling for a job (and its technical competencies) to one that encompasses ‘soft skills’ and imparts continuous learning and adapting mind sets across a lifetime career that will involve change. Categories: 21st Century Careers, Career Advice, Career Teachers Nail It, Innovation, Planning | Permalink.